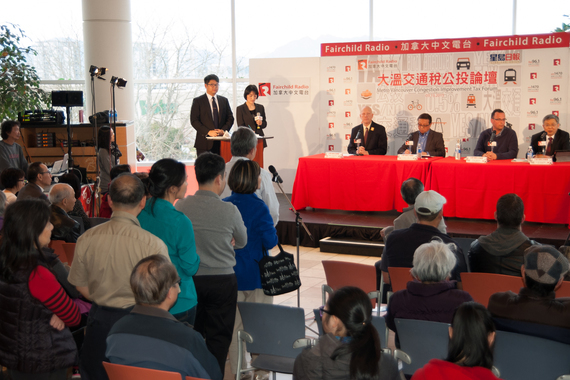 The multicultural radio station Fairchild Radio and the Chinese newspaper Sing Tao Daily organized the “Metro Vancouver Congestion Improvement Tax Public Forum” in the food court of Aberdeen Centre on the evening of March 13. 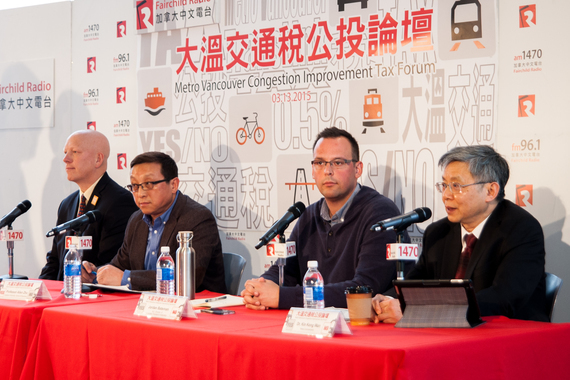 The headlining topic of the open forum was the important and timely issue of the Metro Vancouver Congestion Improvement Tax. Canada’s first vote on transit finance since 1946 began on March 16 when mail-in plebiscites were sent to all registered voters in BC asking for their willingness to pay a 0.5% sales tax to support the growth of the public transit system. From left to right: Port Coquitlam Mayor Greg Moore, Capilano University professor Alan Zhu, BC Director of Canadian Taxpayers Federation Jordan Bateman and news commentator Dr. K K Wan. However, during the public forum last Friday, it was not the 0.5% increase in tax that ticked the audience off. Metro Vancouver’s transportation agency, Translink, has become the target of criticism and public outrage. The panel guests representing the “Vote No” side – BC Director of Canadian Taxpayers Federation Jordan Bateman and news commentator Dr. Kin Kong Wan, attacked Translink for its record of poor performance and careless spending and suggested it cannot be trusted with additional money, especially when that money needs to be raised by increasing the tax. The audience seemed to agree with them. When the floor was open for questions, some audience members suggested Translink should be shut down and the transit system either be taken over by private sectors or managed by the BC Ministry of Transportation and Infrastructure, thus becoming a governmental body. Audience members lined up to ask questions and to share their opinion. Over 80% of the people who voiced their opinion were against the 0.5% transit tax. Probably a smart strategy, the representatives from the “Vote Yes” side, Port Coquitlam Mayor Greg Moore and Capilano University Professor Allan Zhu, did not defend Translink’s performance. Instead they asked people to look beyond the difference in opinions and small setbacks, and focus on what is more important in the long run. Mayor Moore reminded the audience that British Columbia has been built by a continuous investment in infrastructures. We are enjoying what our ancestors have invested for us and we should do so for our children. This is especially more urgent than ever because the population of BC is growing rapidly. 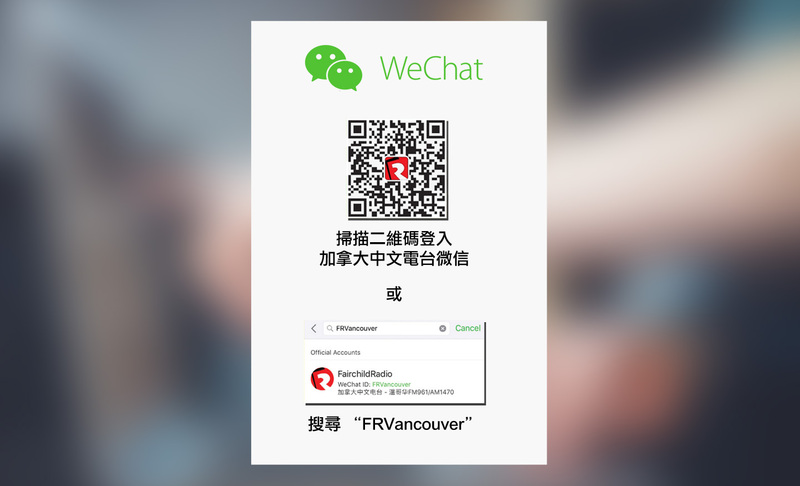 Fairchild Radio hosted an online poll in Chinese back in January 2015, and over 96% of the people who participated in the poll had said no to the new tax.